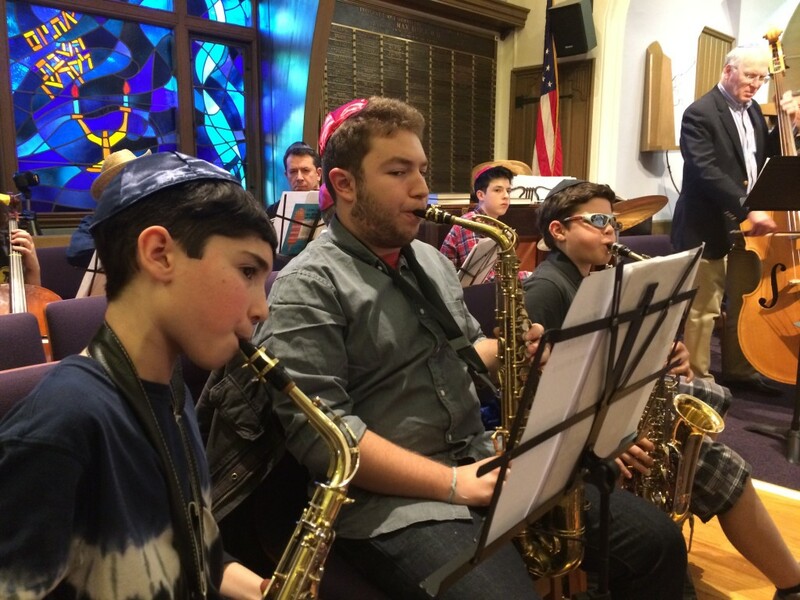 Big in Sound and Joy – The Simcha Band! We may have been small in number but we were big in sound and joy. Just ask the audience who sang, danced and clapped to the rhythm of all the melodies. 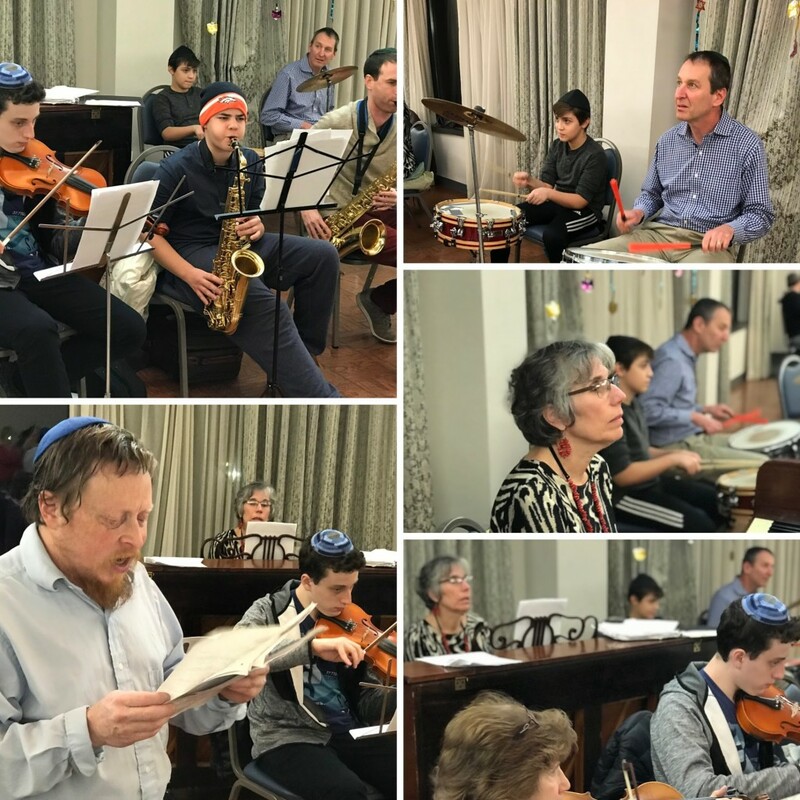 Special thanks to Conductor Mark Weinstein, and band members: Elliot Lasiter, Jerilyn Margulies, Mike Tizhgarten, Howie Erichson, Andy Silikovitz, and Merrill Silver. Joining the band for the first time were Collin Brooks and Nathan Pendola. We look forward to watching Collin (electric guitar) and Nathan (drums) grow up with the band. We welcome and thank Dan Silver who came from NYC to make music with us. 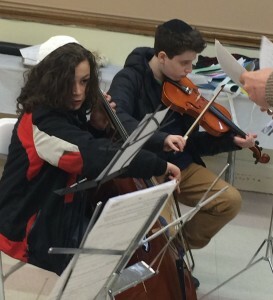 Musicians Aged 10-110 Wanted for the Simcha Band! 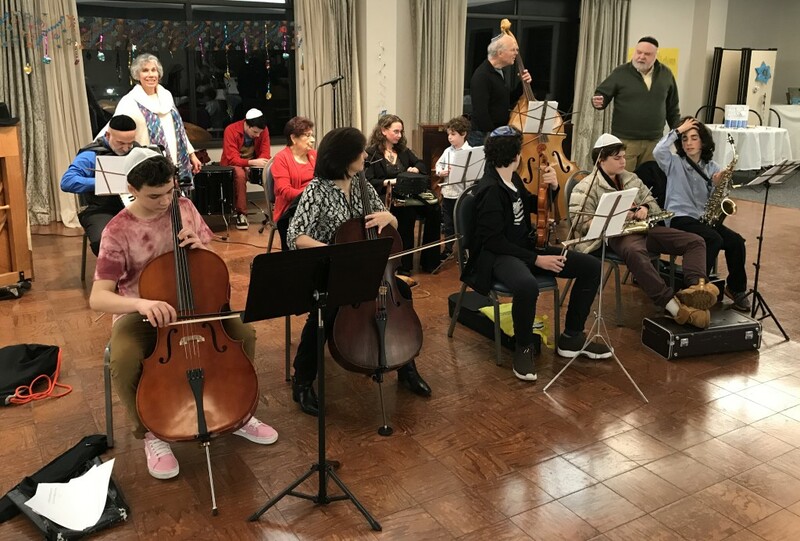 If you can read music or carry a tune, if you have a song in your heart and an instrument in your house, if you have previously played in the band or are joining us for the first time, the multi-generational Hanukkah Simcha Band welcomes you! Shomrei’s Annual Hanukkah Party is on Sunday, December 9 at 5:00 PM. 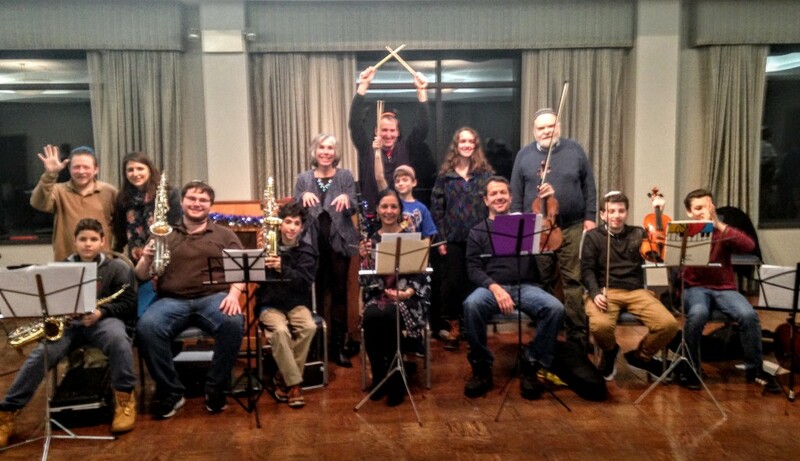 The latkes, the communal lighting of our many Hanukkiyot (menorahs) and the Simcha Band are traditions at our synagogue! Pure Joy! 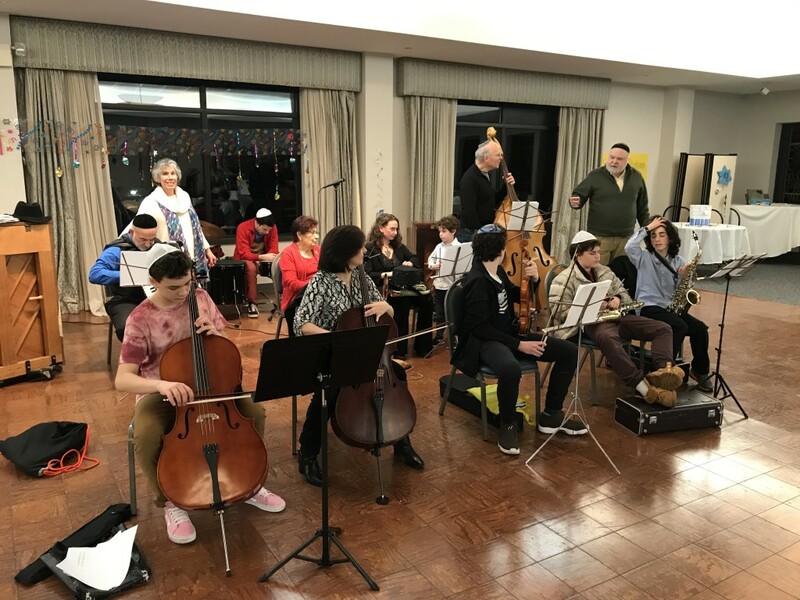 – The Hanukkah Simcha Band! 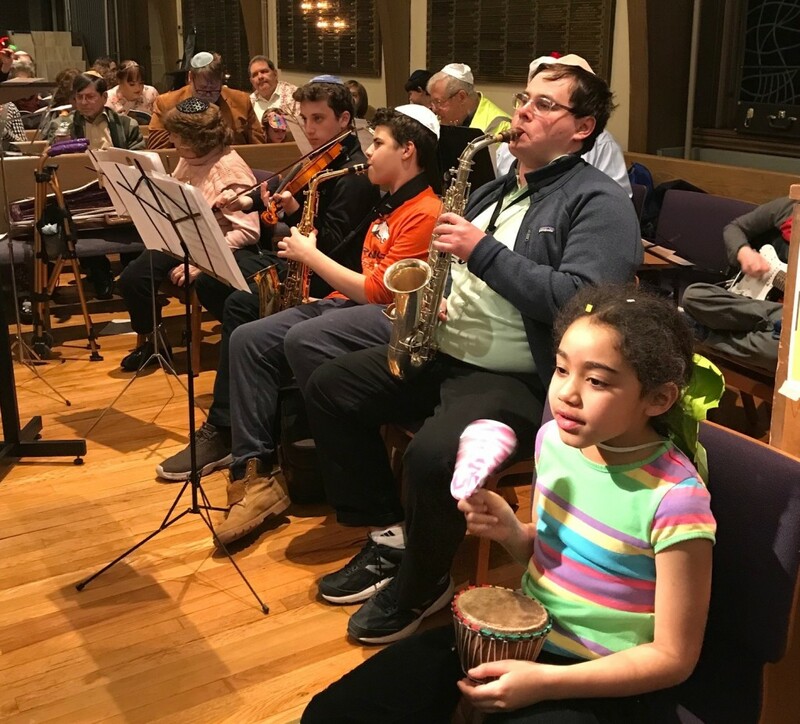 Our multi-generational Shomrei Simcha Band will be performing at Shabbat Services on Friday, March 4 and on Purim, Wednesday, March 23. 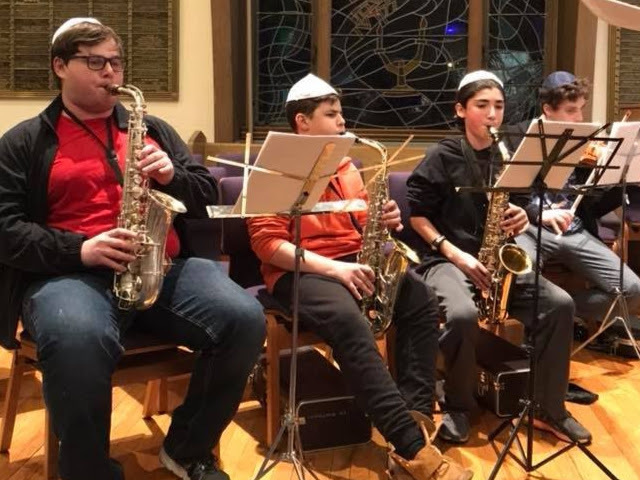 If you read music, play your instrument regularly or wish you played your instrument regularly, then the Simcha band is for you. 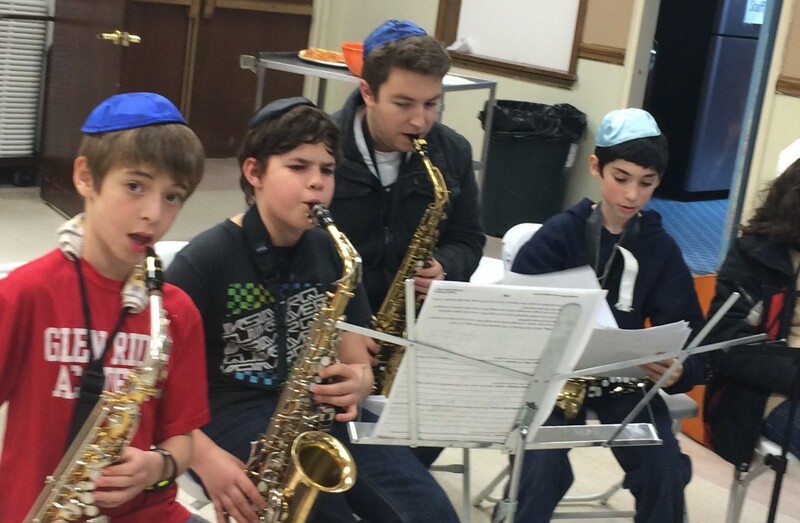 If you have played with us before or want to join the band for the first time, then the Simcha band is for you. 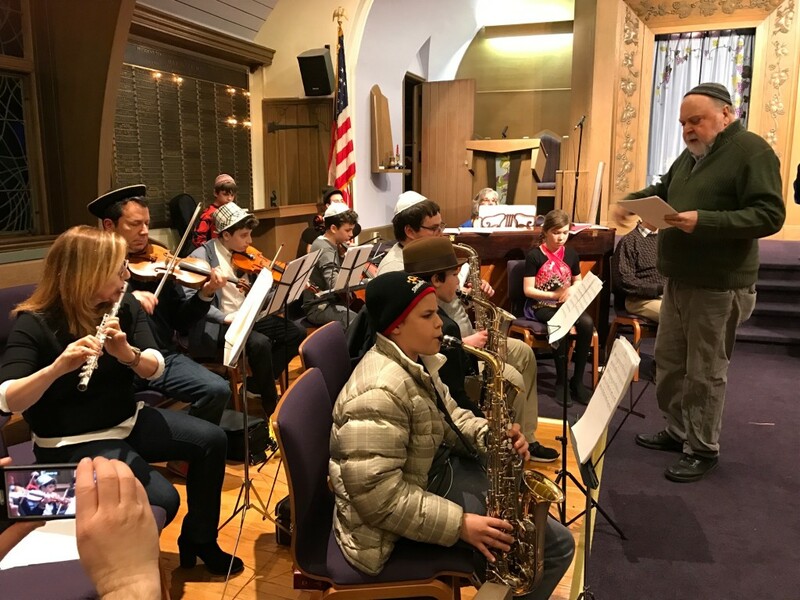 Conductor Mark Weinstein will encourage you to be the best musician you can be, while having fun and making new friends both young and old.